Back in the summer of 1970 I was struck by a drawing of an amazing racing machine. It was published in a car magazine and described as "the anti-hoover weapon" of Jim Hall. For the kid I was at the time it was the most outrageous racing car on earth. A box on wheels, with two giant fans on the back! A few months earlier I became interested in motor racing and the most advanced cars to date appeared to be the Porsche 917 and the Lotus 72. Awesome cars for sure but this creature was something completely different. It was from an other world. Literately, because it was created in Texas, the other side of the globe. To me, the car and everything it represented, was highly mysterious and the name of the thing "Chaparral" added a futher exotic touch. At that very moment I couldn't realize it was to be the beginning of a serious hobby. I started to collect information about the Texan racing breed. 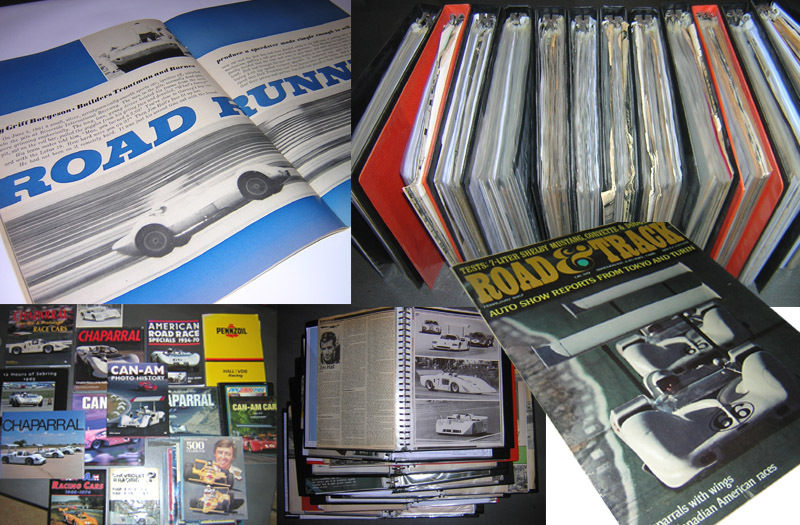 From different sources I was provided with copies of articles from international car magazines. It became a continuous growing archive and grounded increasing knowledge about this subject. During the following years I became aquainted to a lot of motor racing enthusiasts but hardly any of them had even the slightest idea about Chaparral. So the thought raised of creating a kind of Chaparral platform. For various reasons it never came to fruitation. However, with the possibilities internet provides, combined with my son's skills as a webmaster, finally we can proudly present: The Chaparral Files. 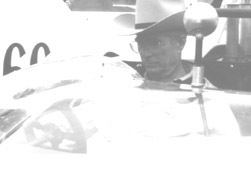 First of all The Chaparral Files will reflect the way I experience this remarkable brand. You'll find some of my writing exersises and drawings. I also will give you insight in my archive and Chaparral model car colllection. Secondly, The Chaparral Files intends to be an inspiring guide to people who (like me in 1970) just became interested to this subject and are looking for some more background information. Third, The Chaparral Files intends to be an important source of Chaparral related internet information. Therefore it will contain many links. I hope you'll enjoy your visit and will return on a regular basis.